Apologies for being so unresponsive to your comments and the lack of posting. I am on the road for two weeks and will be heading back soon. 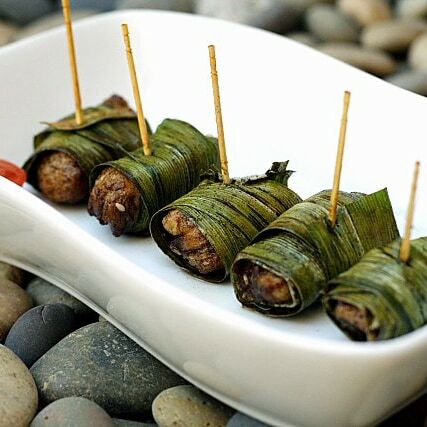 However, I wanted to share with you a new summer recipe–pandan chicken or fried chicken wrapped with screwpine leaves. Screwpine leaves or pandan leaves are commonly used in Malaysia to infuse the food or desserts with the sweet and fragrant aroma. In this pandan chicken recipe, the essence of pandan leaves lend a pleasing flavor to the chicken, especially after these pandan chicken are fried. Pandan chicken makes a great appetizer or finger food for your party and they are so easy to make. Mix the chicken pieces with all the seasonings above. Add the ginger juice and marinate for 1 hour. Put a piece of the chicken towards the end of the pandan leave and roll it up tightly. Hold tight with a tooth pick. Deep fry until the golden brown. Dish out and serve hot. What a coincidence as I just used pandan leaves recently! The food did not turn out as artistic looking as yours though! Brilliant! looks delicious as ever..thai inspired isnt? I recently did a similarly dish but I mine are shaped like a dumpling. Yours look lovely!! what a gorgeous picture on the stones! I m just dicovering your blog thanks to “1001 recettes”. You’re blog is so great ! I m fond of asian recipes so i will often come and read your blog…I’m french and I live in Irvine too, since 9 months ! I’ve got a french blog, about our life here and french cook. My blog is in franch because my english is so bad. Wow, i love everything with pandan! I just made pandan buns last night but the pandan I used wasn’t fragrant enough. Almost all the pandan leaves that I’ve trid were not as fragrant as those found back home. Any recommendation of what kind of pandan to look for or what store i shd go to buy good pandan? No worries for the insipration! Mouth watering already, seeing this photo. Amazing pic..Cant wait for the recipe. Btw, where do u get ur pandan leaves in California? As always, your pic is excellent. Can’t wait to try the recipe. Hmm! You had time to cook and photograph the results while on the road? On my! The picture and pebbles are great! Food bloggers will love the movie. Thai pandan chicken! Everyone’s favorite! The lovely aroma in the boneless chicken is simply irresistible. Another fave of mine, those look so dainty compared with the triangle ones that we normally get in Malaysia. Looks absolutey yummy! Sitting on the pebbles (ouch, my buttocks! ), enjoying the sea breeze, popping those pandan chicken into greedy me, thinking of Rasa Malaysia, and waiting for the recipe, patiently. What a beautiful picture – the hint of red from the tomato changes the whole palate of the image. 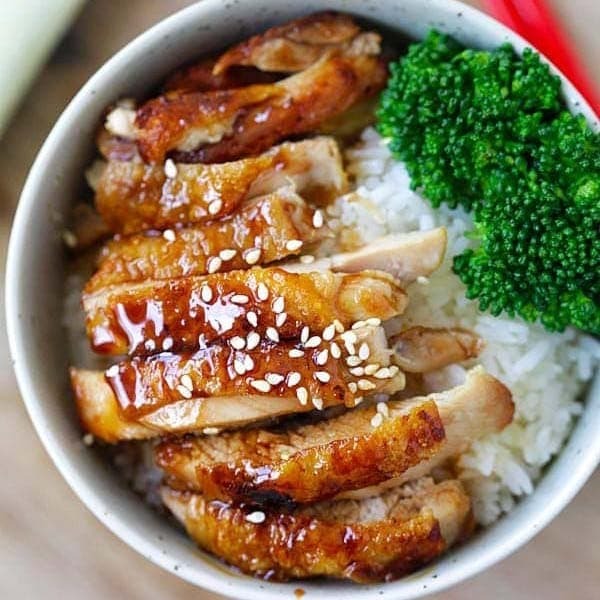 Lightboxes are wonderful, but this is simplicity and deliciousness embodied. Sugarnya – hehe, they were shot outside of my house. Pablo – what did you make? Will have to check out your blog. 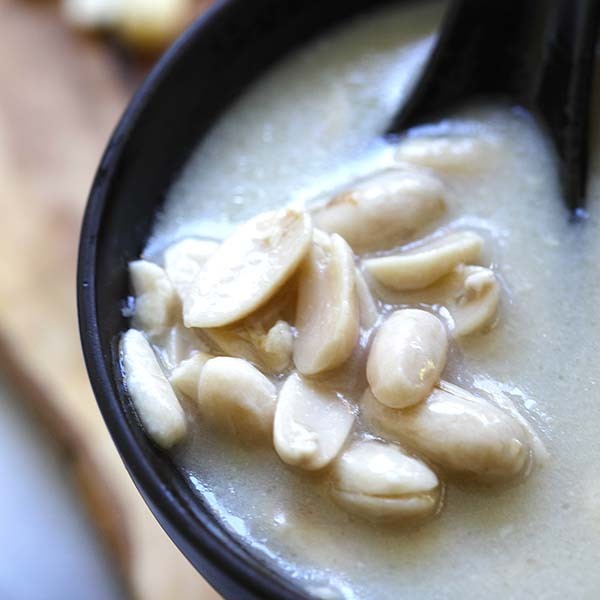 Joe – I guess this is Thai food, but it’s widely available in Malaysia, too. Wokkingmum – shaped like a dumpling…wow, I will have to check it out. Joey – yes, Thai pandan chicken is similar but wrapped differently, I don’t know how to wrap though. 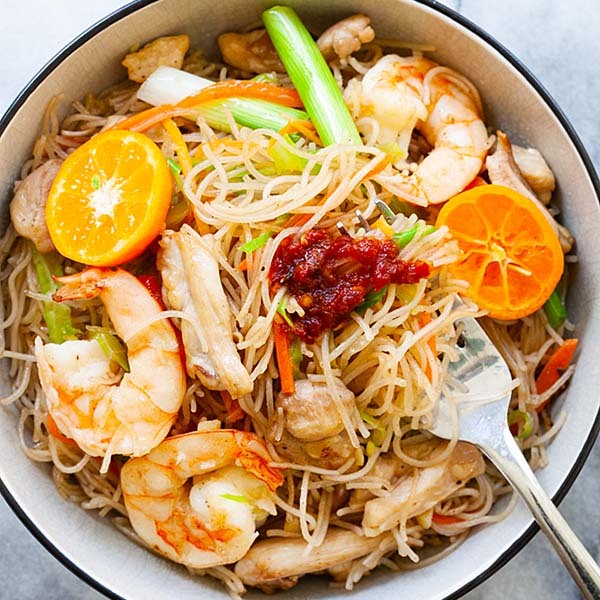 Wok and Spoon – stop the drool, make some yourself now that I have posted the recipe. Cooking Ninja – yes, they are great. This is the easy version. Valerie – wow, you are in Irvine? Cool, we should meet and have a cookout. Oppss – I have no idea…I got mine from 99 Ranch…where else? LOL. Yeah, they are not as fragrant as the ones we just pluck from outside our garden in Penang I am sure. Melting – can can, when? Gazard – hehe. I take it as a compliment. 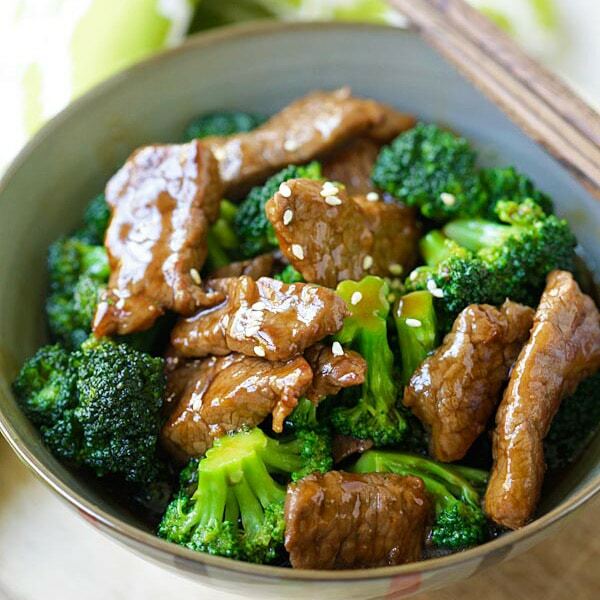 Dhana – I got it from 99 Ranch, but I am sure you can find it at other Asian food stores, at the frozen food section. Ming – no lah. I made this before the trip and just posted it while on the road. I think I am super woman? LOL. Rosa – yeah, I love the pebbles…great background for the food. Cooknengineer – Actually, I am not so much into animated film, I am more interested in that Catherine Zeta-Jones movie “No Reservation.” I like love story, what’s more, it happens in the kitchen! LOL. Bayi – the boneless chicken just makes everything so easy to eat. WMW – the thing is that I don’t know how to make the triangle or the usual shape, so just rolled them up. LOL. Claire – Lightbox rules…I love it. 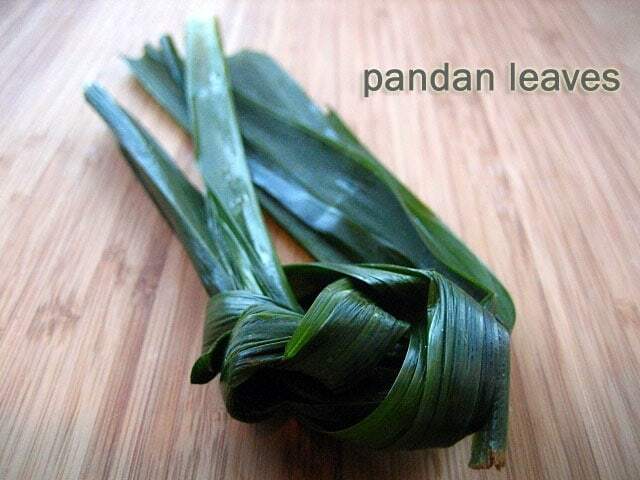 where can you get pandan leaves in Socal? omg! i love pandan chicken. thanks a million for this pandan chicken recipe. i used your recipe today, and brought it to a girls only gathering. the ladies loved it. however, i would recommend a bit more marinade, or longer marinating time. because when i taste the chicken after frying, it didn’t have enough taste, but it had sufficient pandan flavor. so, i made some sauce out of the same ingredients as the marinade, heated it up quickly in a saucepan, and drizzled it over the chicken. the girls really enjoyed it, and some asked for the recipe. thanks! hi ,thank for share delicous,recipe.it good for pot luck party. Bee can you get fresh pandan leaves in SoCal? I’ve only found the frozen ones at 99 Ranch Market. And they don’t work like the fresh ones! Looks delicious, I’ll be giving that a try! I tried this recipe but chicken turned out too dry & tough! I love anything pandan so I want to try this recipe, but is there another method besides deep frying that will work? Would you recommend baking or grilling? Thanks for the reply. What temperature and cook time do you recommend for baking?? How do you eat it? With/ without the leaves? Since it is hard to see when the chicken is golden brown due to the leaves, what time and temperature would you use to deep dry it? I am going to try 10 min at 350. I ended up doing 8 min. It was the hit of the party.